I started watching the SaltyBet after watching last week’s GiantBomb’s Unprofessional Friday. NeoGAF was all over it for about a week now but I didn’t get around to hitting the site. The important thing is that I’m now watching this ridiculous stream and enjoying it. SaltyBet is powered by M.U.G.E.N. fighting game engine. They just loaded a bunch of characters, stages and wrapped it around this simple but effective betting system. It’s automated, runs 24/7 and is accompanied by lots of video game or video game inspired music. Enslaved: Odyssey of the West may be the most surprising 2010 game I play in 2011. It has flaws in just about every area outside of story and character development, but taken as a whole and at just the right price point, this game was a genuine diamond in the rough. Behind the shadows of summer blockbusters such as Ninja Gaiden 2 and Metal Gear Solid 4, is a game which needs no introduction, but instead needs some clarification. Dragon Ball Z games have become an annual affair for Namco Bandai and Atari, and I don’t blame folks for not knowing which installment is worth their time. This year’s installment is brought to us by DBZ: Budokai 3’s developer, Dimps. It’s been awhile since Dimps made a Dragon Ball game, so let’s see if they’ve managed to make Dragon Ball Z: Burst Limit worth your while. It’s been awhile since I was excited for a demo. 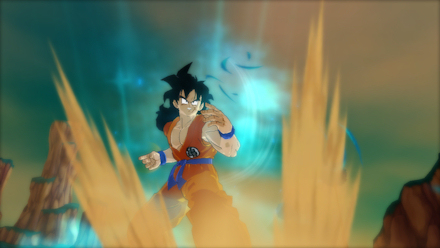 Today, the Dragon Ball Z: Burst Limit was released for both the PlayStation Network and the Xbox Live! Marketplace. But why be excited for a Dragon Ball game? Well, I for one was/am a Dragon Ball fan. Secondly, this is a DBZ game developed by Dimps, the talent behind DBZ: Budokai 3 and co-developer of Street Fighter 4. So, I downloaded the 478 MB demo and desperately held hope for a spiritual successor to Budokai 3 and you know what? It is.